The Barnet Collection of Ceramics and Art was founded in 1987, by Sandra Barnett, with students from Barnet College who had been studying pottery under her tuition. Thirty years on it has gone from strength to strength attracting many new members and skills. We offer mutual support in members' art practice, exchange of information, visits to exhibitions, galleries, and studios. 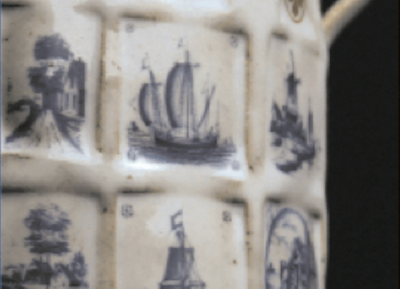 Whilst the Barnet Collection was originally formed as a pottery group, it now includes painters, sculptors, silk and glass artists, calligraphers, photographers and we even have a professional ceramic and glass restorer. Many of the members have gone on to become professional artists and the group now attracts many high caliber ceramicists and artists in other media. We hold joint exhibitions, and organise workshops and seminars where notable craftspeople are invited to demonstrate their talents. There are currently twenty two full members and four associates in the group, many of whom have exhibited widely, lectured and taught locally, together with others who simply have a passion for their craft. Members meet frequently to plan events and share their expertise and genuine enthusiasm for the arts. The Barnet Collection continues to support various charities and has donated considerable sums to many worthwhile causes. The Barnet Collection has a public Facebook group which you are welcome to join.